This blog post is part of a series exploring the value and benefits of spending time with horses and other animals, including within a therapeutic environment. Previous posts have introduced the series and provided a brief overview of the research in this area. Many of the people we work with at Healing Hooves have good reason NOT to seek help; not to trust another person. They may have experienced the world and relationships as unsafe places, and those who were supposed to help and care for them might have hurt or abandoned them. Or perhaps they have simply found counselling or personal growth to be unhelpful, boring, and a waste of their time; or something that risks ridicule from their peers. There are also times when people are willing – or perhaps have been mandated or coerced in some way – to attend counselling or some other form of support or wellness session, but they do not truly engage, participate or trust in the process or the provider. They ‘show up’ physically but not emotionally. You may be able to relate. Most of us have been hurt in relationships and have experienced times in our life when we are hesitant to reach out and ask for help. It seems safer to retreat, to say “I’m fine” when we’re not, and to ‘do it ourselves’ when deep down we yearn for someone to be there for us. Being vulnerable and trusting in a relationship is frequently hard; sometimes it is terrifying. In each of these scenarios we cannot even begin to help someone, or ourselves, unless something motivates them, or us, to show up – both physically and emotionally – despite all the reasons not to. Horses are often that ‘something’. In equine therapy the presence of the horses, and the possibilities inherent in working with a horse, can provide the initial draw and motivation to attend, as well as reduce any stigma attached to seeking support. While it is always important to be clear and transparent regarding the nature and scope of the services being provided, we certainly do have clients at Healing Hooves who refer to their time here as ‘horse time’ rather than ‘counselling’. We sometimes even include the names of the horses on our appointment cards! For some clients it is the possibility of riding the horses and learning horsemanship skills that creates the initial attraction. You can find a discussion of the implications of incorporating riding into an EFW program in our blog post: Do Clients Always Ride? The presence of the animals also presents many non riding but equally fun options which can be incorporated into sessions. 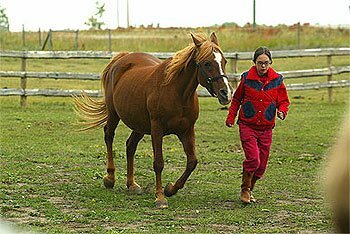 Taking a dog for a walk, having a horse follow you through an obstacle course, playing with a kitten; these are all aspects of equine and animal assisted therapy which can make sessions a lot of fun, while helping us learn about ourselves and others at the same time. At Healing Hooves we frequently discover that our clients do not want to leave at the end of a session! However, for many of us, horsemanship and ‘what we can do’ does not usually end up being the main, or even the initial, attraction to working, interacting and connecting with a horse. Rather it is the relationship, including our anticipation and perception of the nature and quality of that relationship, that makes interacting and simply ‘being’ with animals so rewarding, and safe. 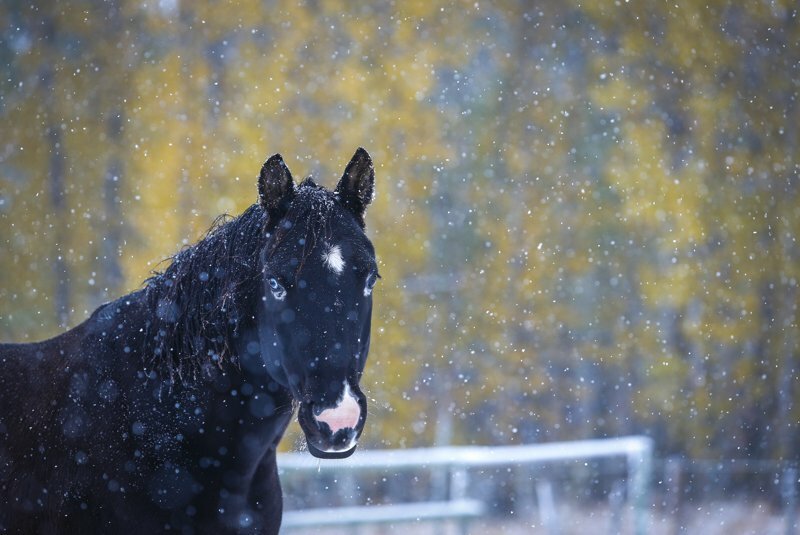 In addition to being key factors in helping someone engage and succeed within an equine and animal assisted therapy session and relationship, the perception and experience of horses as genuine, empathetic and non judgmental may also be what helps a person find the courage and motivation to seek help in the first place. In time the relationships we develop with horses and other animals hopefully serve to deepen and personalise the initial attraction into a place of safety, self reflection and learning; and where necessary healing, recovery and hope. 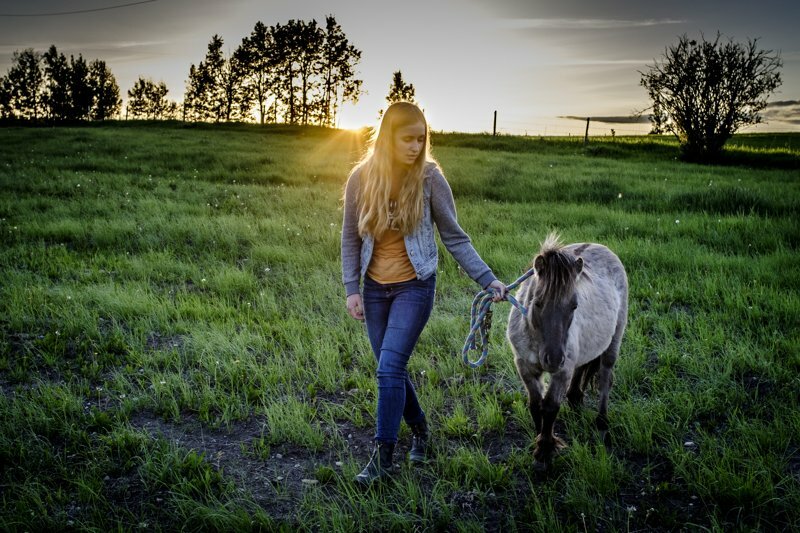 And while relationships with animals can certainly create many opportunities for healing learning and growth in and of themselves, at Healing Hooves we usually also aim to transfer these factors – including the trust and courage to be vulnerable – to healthy relationships with people, and with self. But none of that can happen unless ‘something’ initially motivates us to show up. Our next blog post in this series will explore what we share in common with other mammals, including many of our emotions, and all that we can learn from this.